Jimmy's gardening thread, as well as the Jenns', have inspired me to try and capture my grounds - they are nowhere as neat as others We have a large property and lots of deer. And rain. And things grow really fast. Or die. Or get eaten. Or I become lame. BUt, whatever, it is home and I love puttering. Anybody have any suggestions - I managed to get GOogle Drive, now have the document in Google Docs...how to I get it from there to showing up here? You have to change your privacy settings. 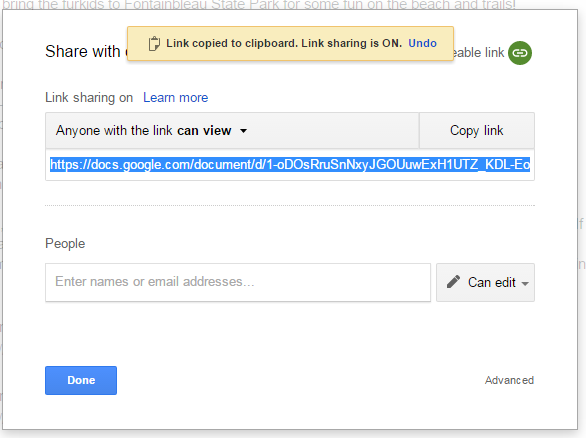 Open the doc and in the top corner where it says share, click the "get a shareable link". Ok did that - is it working for you? Now to organize all my garden photos and take some new ones. If you look carefully - on the left of the photo, past the garage a bit and just inside the red line, is my vegetable garden area - it has the wide rows laid out north-south. That is a huge garden! Ami definitely has reign over that yard too. But you guys have lots of acreage, right? Yes - total is 30 acres. All the woods west of the line and more not in the picture. THe garden IS huge but some of it is permanent plantings - there is a bed of rhubarb in the southeast corner, an asparagus bed on west, some blueberry bushes on the middle west (or were, Archer dug up at least 1.) there is a row of raspberry bushes planted last spring and a concord grape vine. My hives are between the blueberries and the raspberries. The middle is an 8 ft wide path - plan is to put cold frames there. And, hopefully, get hubby to make me a pair of adirondack chairs for when the tree comes down, which I hope happens this fall just before I plant the garlic. 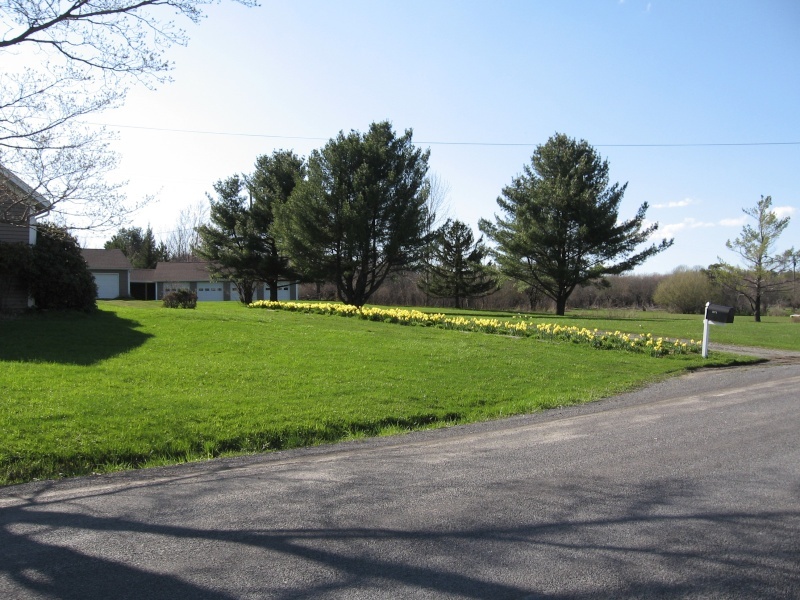 And this is the summer view - we used to keep that bed in grass which meant trimming the grass with hand clippers for the 2 months that the daffodil foliage was ripening. A royal PIA. 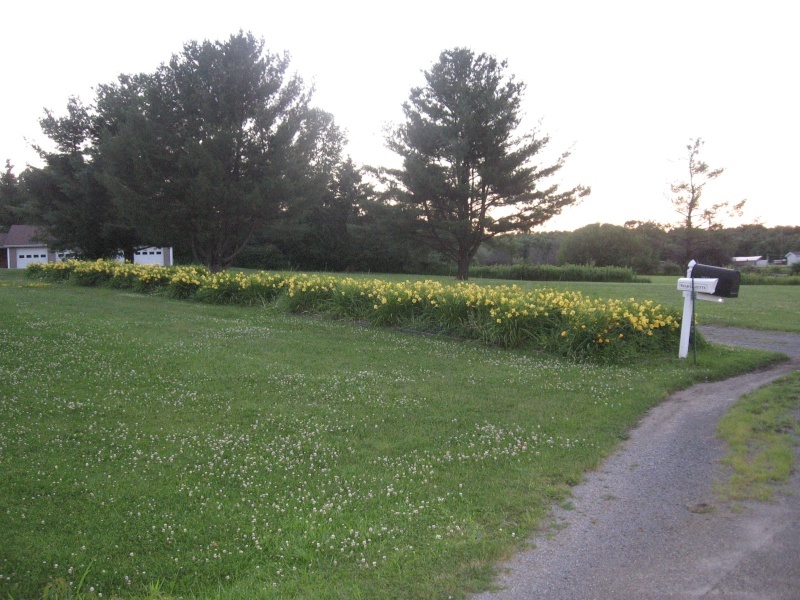 So we dug up all the daffodils, divided them, rounded up the grass and planted Happy Returns daylilies. Which the deer loved Not until last year when Ami was around, did we actually get flowers. Thank you Mr. Ami. And now, they need dividing...the foliage is so dense, it holds itself up and the flowers are sort of hidden by the leaves. Also - birdies have planted blackberries in there and there is some sort of thistley thing that I just can't eradicate. This is probably my number 1 project this fall. Ummm...it's not a 4 car garage, its 8 bays and "shop" or "barn" that can hold 2 additional cars in tandem in the winter but for summer, has just the tractor, rototiller, motorcycle, chipper/vac and chipper/shredder (both broken ), some bicyles and misc. wood etc. I'm really proud of it - I designed the building...so we would not have to chop down some spruce and pines we planted ourselves. From 1 yr seedlings, now 20' or more tall! I sort of followed the old New England "BIg House, little house, back house, barn" plan. The house is perpendicular to the road - the section closest to the road was a 1-room school house in the early 1800's. Or mechanics dad used to teach there! We only mow maybe 4 acres at the bottom of the property - the rest is old pasture reverting to forest. Most of it is past the brush stage and has trees starting to become mature - while we were chipping brush last week, I was standing there, just handing stuff to Wayne (I'm a klutz, we keep me away from sharp, cutting things ) and looking off to the south - did not realize that we had several beautifully branched trees - an ash and a couple of hickories. Unfortunately, the emerald ash borer has reach our county so the ash are not long for the living. And most of the land is really soggy. i know you have a lot of acres but just seeing Ami's hang out outline im just in wow that you even try to manage that much land! so is the plan to have every veggie you could ever want in that garden! 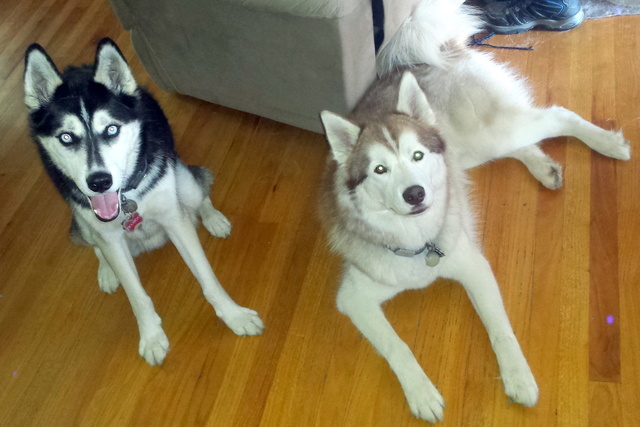 you are gonna need to hire some help with all that picking, but im sure the boys would have no problem eating it all. are you still thinking about the land across the street? wow, beautiful grass (grass envy ). nice acreage lots of room for gardening madness . Jenn - My goal is to be able to produce most of the vegetables we eat and freeze, can and use season extenders. Have you read Elliott Coleman's 4 season harvest? I believe that is doable here. Ultimately, if I can make the soil productive, I'd like to have a booth at one of the farmers markets around here. We have one asparagus bed, now. I want to put a 2nd in and manage it for fall harvest... let it grow the spring, cut out down mid August and harvest September October. Also plant a fall harvest garden of greens, spinach, kale, broccoli... things that will tolerate a light or even heavy frost. Brussels sprouts can be left in the ground until at least late November... some say new years day! For corn, you need a minimum density for pollination to occur... it's wind pollinated so a minimum of 4 10 ft rows are recommended. And winter squash and pumpkins? That stuff sprawls! So when I actually plan it out, it's really not that big :-) I also have to compensate for reduced sun. I don't think any one spot gets more than 6-8 hours a day. But, I'm well protected from the wind. Red flash.... be careful what you wish for my husband mows twice a week for most of the spring until mid August. And the rain that grows that grass? I'm mopping it up from my sunroom at the moment. And something is munching on my sugar snap peas either my neighbors cow (another "pie" today ) or a deer has figured out when Ami is not around. Think it's time to put their water dishes in the garden! As for the land across the street... Wayne had a heart attack when he figured out the tax hit if he removed that much money in one year so we have cold feet at the moment. That actually makes sense since the Mexican prairie dogs range extends into this area - but if they are, they're smaller than they're supposed to be. An adult prairie dog is supposed to weigh in at about 2 - 3 pounds (thanks Google) which would make them the size of a smallish rabbit and these guys are the the size of a big rat... probably just pack rats that decided to make their homes outside the nearest convenience store. Al what about rats don't you have kangaroo rats down there? They are more chipmunck size than prairie dog size. I love the property Amy. And love that some of the forest/trees are in Ami's area! It's probably just a plain old pack rat; I can see them from 30-40 feet away but if I get any closer they're gone! I did have some rats living under the trailer but Tommy's taken care of them. (Tommy the cat). And they taste like tomatoes! That's a big, fat Brandywine there in the middle. I'm still waiting on my tomatoes. I think I have six. That will be my whole year's harvest. Those look great! I really want to start growing vegetables, but for now, I only have fruit trees. 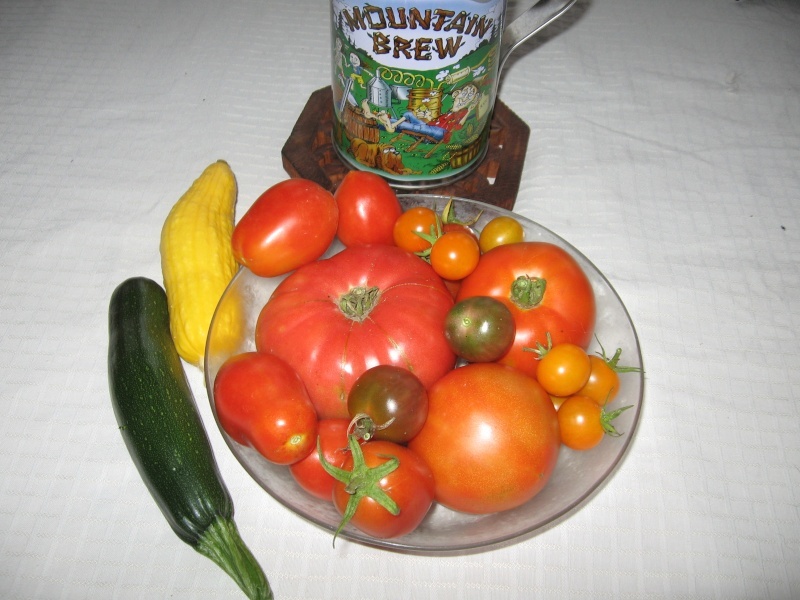 Jenn - I have read that tomatoes will not set fruit or ripen developing fruit if the temp is consistently above 90° during the day or below 60° at night - is it possible for you to plant earlier or later so that your tomatoes flower when it is cooler? Also - google "milk spray for fungicide" - I've read good things about using well diluted milk to inhibit various fungal diseases on vegetables. Yup - they were delicious. Especially that big ol' Brandywine and those little sungold! Had 2 more Brandywine today - they must be close to a pound! But, today's were salvaged from slug damage - its been so wet that the slug population is getting way out of hand. This fall, I will be taking Al's advice and using a middle buster plow on the whole garden, then using the rototiller to make raised beds, once that is done, I will be using iron phosphate slug bait over the whole garden. Probably 2 applications a week - 2 weeks apart and then again in the spring. Damn things are awful this year. Rocio - I love fruit trees. I plant 3 peach trees and several apples this spring. Hope to add some Montmorency cherries and some dark sweet cherries either this fall or next spring.